At Bridge Magazine, we are thrilled to be named 2016 “Newspaper of the Year” by the Michigan Press Association. That award belongs as much to you, our readers, as it does to our journalists. Because you – your ideas, your readership, and your financial support – truly drive the publication. Please help Bridge thrive, grow and keep you in the know. Your tax-deductible donation today will make a huge difference. You can donate online in one minute or less - click here to donate. We can only do it with help from readers like you. These are tough times in news media. Cutbacks cost Michigan’s newspaper newsrooms nearly 40 percent of their entire staffs in the past 20 years. 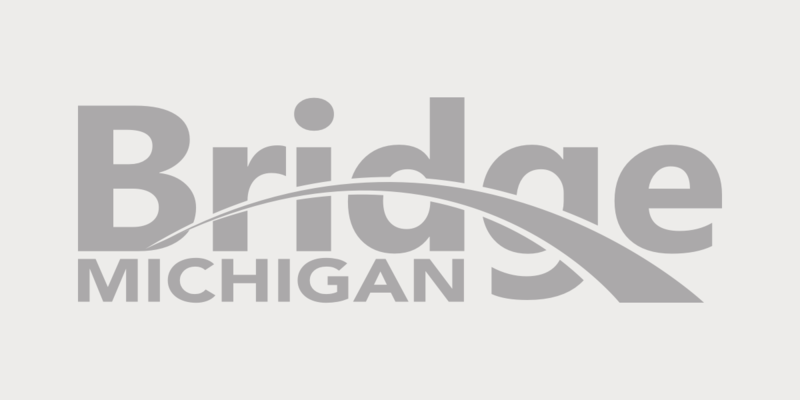 In response, Bridge built a team of professional journalists with nearly 200 years of combined experience to help all Michigan residents stay informed. Thank you for considering this request. Financial support from readers just like you is truly crucial to Bridge’s public service mission to bring you the state’s best journalism. Ah, the incestuous practice of journalists giving each other awards. If we're ever going to reform journalism, all journalists who have ever acknowledged receipt of an award from fellow journalists need to be banned from the profession. That goes for institutions, too. When they start writing for people rather than for their fellow journalists, then we'll have something.